The Wheatsheaf is still a firm local favourite today, with the interior divided into a number of smaller areas, each with their own individual charm, while outside a large terrace to the front is a lovely spot to watch the world go by on a sunny day. Come on in for a look at the many fascinating artefacts to be found throughout, such as our stained glass panel depicting the 600 Squadron Auxiliary Air Force crest, found during renovations and given pride of place behind the bar. 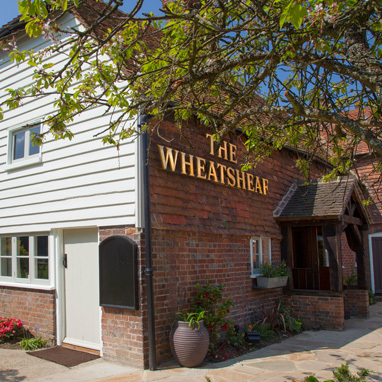 Now known for beautifully-prepared, locally-sourced food and a fine selection of wines and real ales, The Wheatsheaf is a cosy haven in the winter with roaring log fires and in the summer, soak up the sun on our beautiful terrace. Cyclists, horse riders, walkers and dogs are always welcome, and with plenty of parking available there’s every reason to visit – so what are you waiting for? We're located in the village of Bough Beech in Kent, close to Hever Castle. We're open every day - please see our Menus page for food service times. 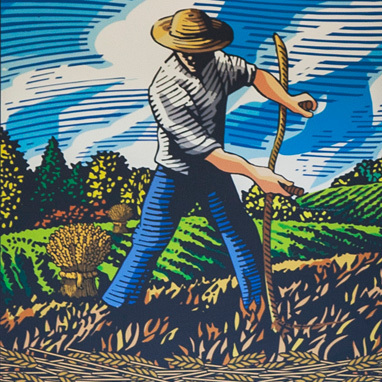 We are incredibly proud of everything we do at The Wheatsheaf. From the moment you arrive to the moment you leave, we hope to put a smile on your face at every step of the way. But there's always room for improvement, which is why we are constantly reviewing our menu, wine list and range of drinks and we always take your feedback into consideration. 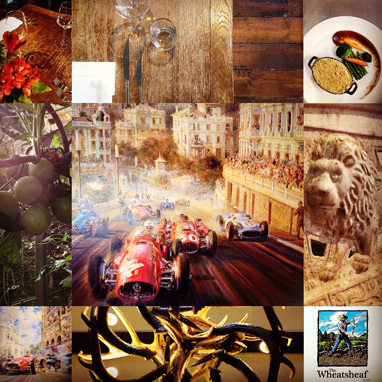 Have you recently enjoyed a visit to The Wheatsheaf at Bough Beech? We would love to hear about it - click below to tell us what you think. We hope to see you again soon! Copyright © 2019 The Wheatsheaf.